Hello! So today I have an episode of In A Conversation With, where I discuss a few questions with some of my favourite people in the industry. Today's is all about Maria Joynson, a blogger who has outdone every expectation in my eyes, her work has inspired me so much to be as creative as I possibly can. Her commitment and hard work really stands out to me and it's a pleasure to have her on this little series! How long have you been blogging for and what/who gives your motivation to work hard? Maria: I've been blogging properly since January 2016, but I actually started in late 2015 - January just seems an easier marker. However in 2013 I got really into Tumblr fashion blogging, so my obsession with socials started there! People like InTheFrow, WeWoreWhat and Lydia Millen are my biggest inspirations - seeing their success makes me want to work harder. Maria: My idea of success is the reception to what I put out there, individual comments and the level of engagement is key to me - rather than a follow or page view number. I think there are a lot of bloggers, but absolutely nothing to do with other people effects your own success; it's all down to you. Maria: It's not one event or "thing" per say, but it's my engagement rate and the fact I achieved it organically. 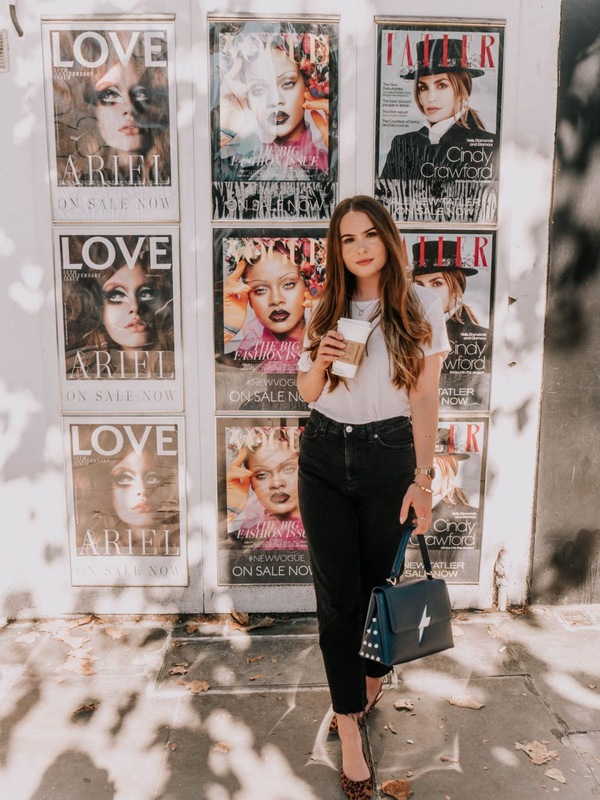 Do you blog full time? And if so, how long did it take you to get to that position? Maria: I do! I only started making a proper wage from it in 218, so about 2 years. I think you have to be prepared for a gap when you first go full time, I saved so I could go through the transition period. Do you think visuals on someones blog is just as important as the actual written content within a post? Maria: In some cases yes, and in some no. It really depends on the individual blogger, for some people (like me) images are everything; but then you have people like Caroline Hirons who usually use 1 or two photos for each post, and is one of the most successful bloggers in history. I thin they're two different styles of content and it depends on the person making it and how their audience reacts. And finally, what are your goals for the future (if you have any) and where would you like your blog to be in 5 years time? Maria: I still feel quite new to this, I spent the last three years growing my following and I need to continue that in 2019. Maybe after this year I will branch out into other projects alongside usual work, but I know for sure this year I want to grow and expend on everything I've made the foundation for since I started. I think it's impossible to say where my blog and the whole industry will be in 5 years, but I can only hope it'll be bigger and better.